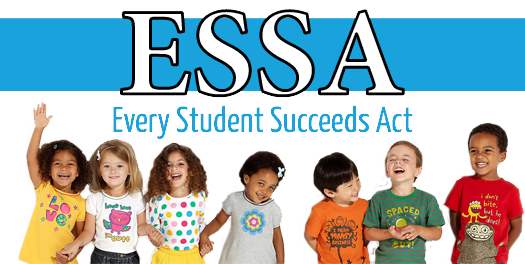 Based on your enrollment, your school may be entitled to a Guidance Counselor at no cost through Title I funds authorized by the ESSA. 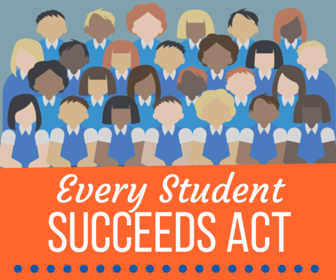 Key highlights of the Every Student Succeeds Act (ESSA) include language adding services for non-instructional supports such as school counselors (counseling services), school based mental-health programs, behavior and mentoring supports, and social and emotional learning to meet a broad range of student needs. These funds may be used to improve attendance, to counteract and prevent bullying, for school-based mental health programs, to provide positive behavioral interventions and supports, or any other strategies to improve students’ nonacademic skills. Prepare a proposal for services, and help your school navigate the consultation process required by your Local Education Administrator (LEA). Match you to a state licensed, insured and background cleared School Guidance Counselor. Provide your school with the excellent, on-going service and dedication that we have provided schools for over 50 years. Submit all billing and paperwork required by your school district for distribution of Title I Funds. After submitting this form, a staffing specialist will contact you to coordinate staffing your Title I Guidance Counselor. Consult with teachers, parents and staff to enhance their effectiveness in helping Title I students with their educational needs. Conduct classroom observations upon referral from staff/administration or parents of students to assist with problem identification. Collaborate with parents, teachers, administrators, social workers and community health personnel in order to plan and implement strategies to help students be successful. Meet with students individually and in small groups to help them resolve or cope constructively with their problems and developmental concerns. Conduct groups/programs pertaining to anti-bullying, social skills, conflict resolution, or other issues to improve students’ nonacademic skills. Assist parents in obtaining needed services for their children through communication, referral and follow-up processes. Conduct screenings for emotional and/or behavioral issues. Serve as a liaison between the school and community agencies to ensure collaborative efforts to assist and support the students. Provide written feedback on student progress to parents, teachers and administration. Make placement and other educational recommendations for student support based on students’ individual needs. Properly review and evaluate records of incoming students to advise administration and teachers of students’ special needs. Maintain a written running/current intake log of actions taken on behalf of a student for the year. Meet with teachers at the start of school year and prior to parent conferences to review areas of concern/issues for individual Title I students. Meet with teachers at end of school year to review progress and any recommended changes for the coming school year as well as complete new plans and any other needed documentation for each student for the next year. services to the disadvantaged, with a focus on improving the academic achievement of the disadvantaged. longer limited to additional instruction in core subject areas. services and programs to support improved economic, educational, health, safety, and other outcomes that address the issues of intergenerational poverty.